Qu Yuan was a minister (and also a poet) during the Warring States period of the Zhou Dynasty. A cadet member of the Chu royal house, Qu served in high offices. However, when the king decided to ally with the increasingly powerful state of Qin, Qu was banished for opposing the alliance and even accused of treason. During his exile, Qu Yuan wrote a great deal of poetry. Twenty-eight years later, Qin captured Ying, the Chu capital. In despair, Qu Yuan committed suicide by drowning himself in the Miluo River. It is said that the local people, who admired him, raced out in their boats to save him, or at least retrieve his body. This is said to have been the origin of dragon boat races. When his body could not be found, they dropped balls of sticky rice into the river so that the fish would eat them instead of Qu Yuan’s body. This is said to be the origin of dumpling (zongzi). Is a bit worried that Dragon boat festival and the stories behind it will be lost as most young Singaporean these day not only can’t speak proper Chinese, some aren’t even interested in the Chinese culture. Who knows one day the new era Singapore generation might decided that dumpling is not healthy food and not even worth to reserved this traditional Chinese food? Guess I better speak more Mandarin and share more Chinese stories with Kpo Kia in hope that she will grow some interest and Chinese and improve her ‘Ang moh accent Chinese’. 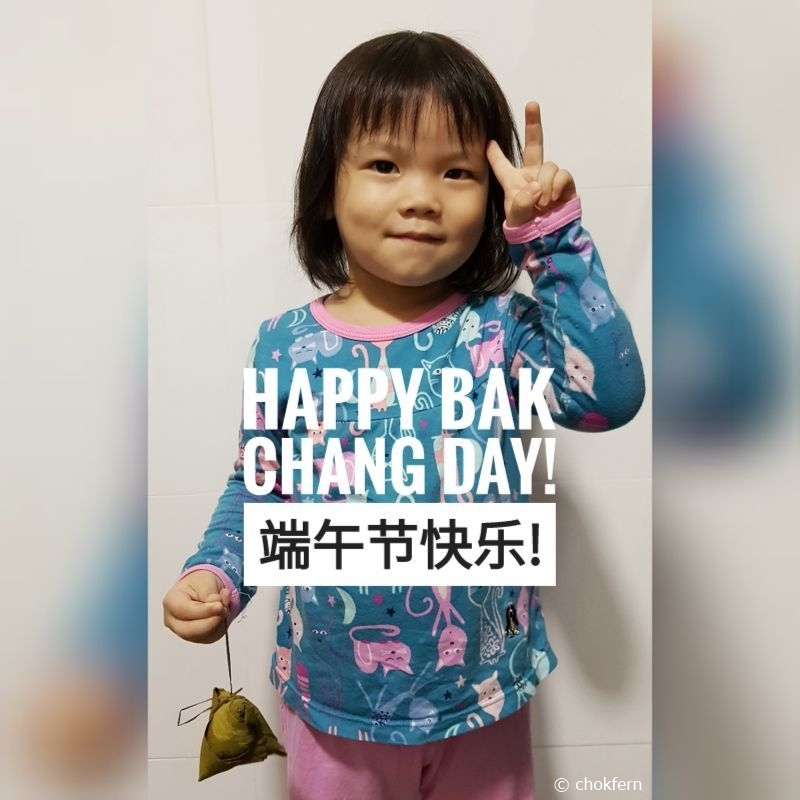 But having both her paternal grandparents not abling (or willing) to converse in Mandarin, and the other family members and my teaching style is quite different, I am expecting a lot of Challenges. Good luck to my ‘parenting goal’ of this year!